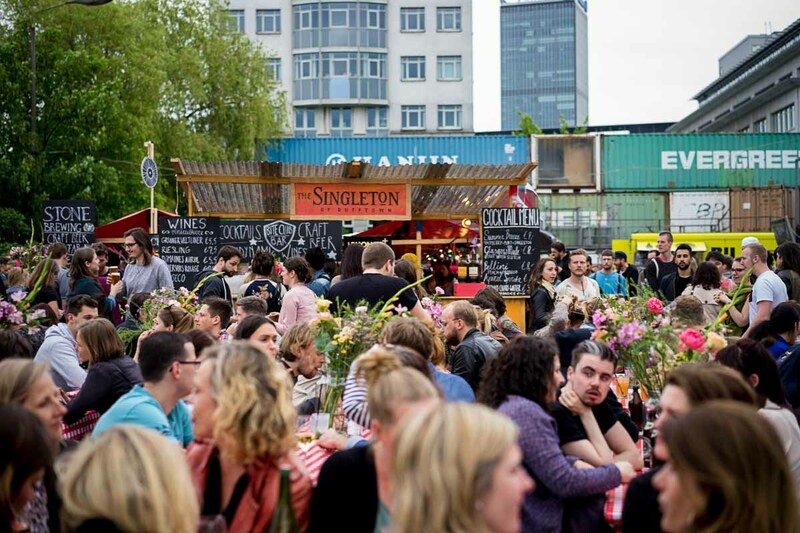 Street food culture is booming in Berlin and what started in 2013 as a grassroots movement has, in three years, developed to become mainstream culture, with street food markets popping up all over Berlin. 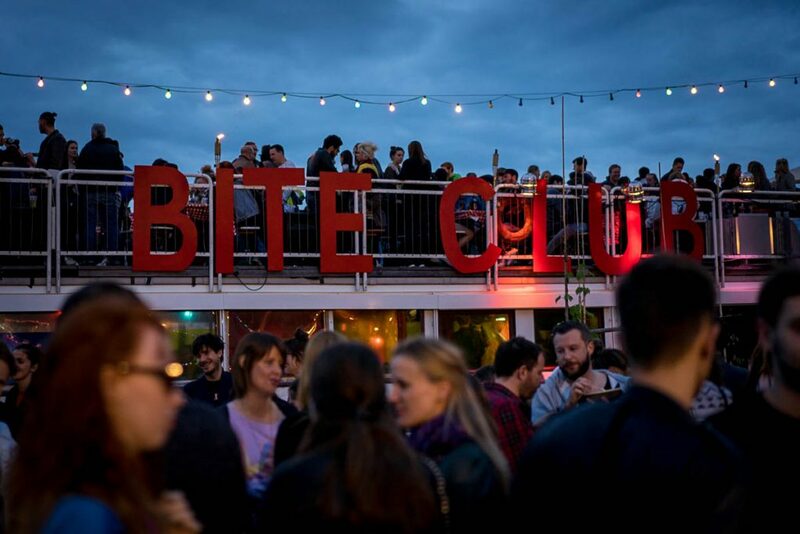 Bite Club was one of the first modern street food markets in Berlin back in 2013 and three years after the first Bite Club opened its doors, the fabulous street food party on the banks of the river Spree has become an imperative component part of that Berlin summer, just like outdoor Biergartens, lake excursions and daytime raves. 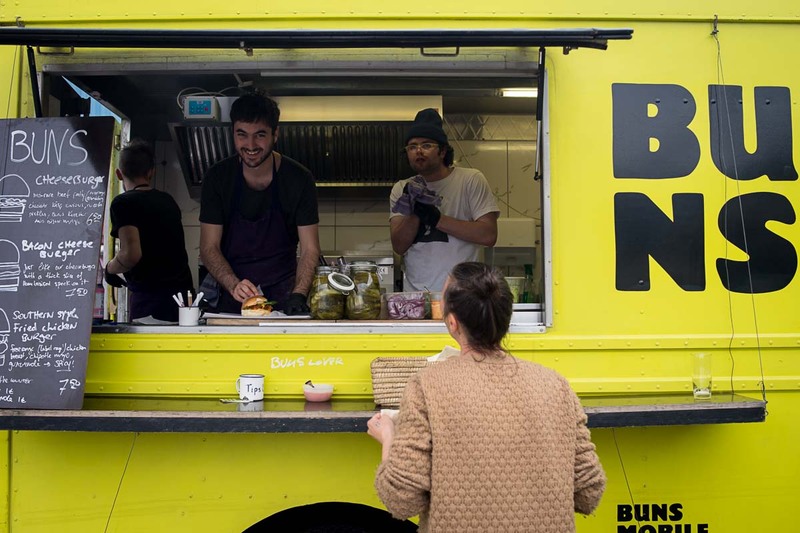 Bite Club is the brainchild of Miranda Zahedieh and Tommy Tannock and while the latter spends most of his time nowadays dishing out extraordinary wines at The Store Kitchen, Miranda still holds the operational reigns at Bite Club. 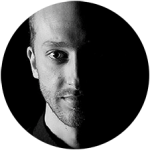 These two have done an exceptional job curating Bite Club and from day one they’ve continuously improved the quality of the event series. 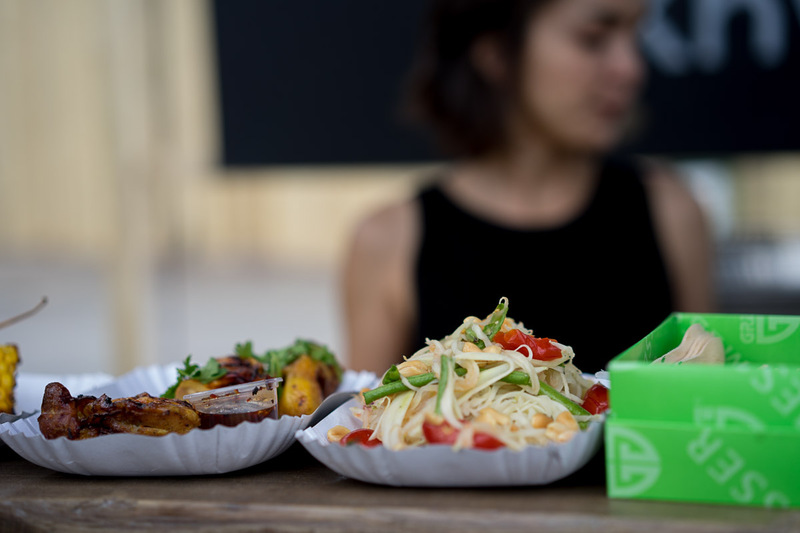 In these times where every second brewery and delivery food brand hosts street food events, there are really two things that make Bite Club stand out from the crowd. 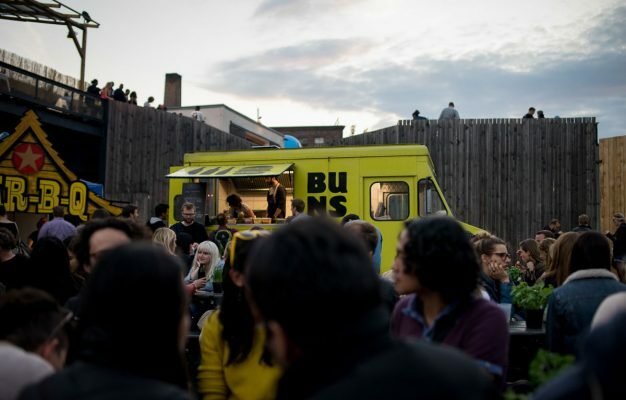 Number one is the killer venue, these guys truly give meaning to their slogan “bringing street food to the party” as they host the bullet proof combo of an epic outdoor location alongside a killer DJ line up and plenty of ice-cold alcoholic beverages. The main location in next to the river with stacked shipping containers, a Hoppetosse ship centrepiece and an exceptional view. All make for an extraordinary setting. Number two is the very professional curation of food vendors, the Bite Club crew are savvy eaters who spend a lot of time scouting Berlin’s very best street food. At Bite Club you’ll run into an outstanding selection of vendors, like the notorious yellow burger-flippers Buns Mobile, who have visited Bite Club from day one. 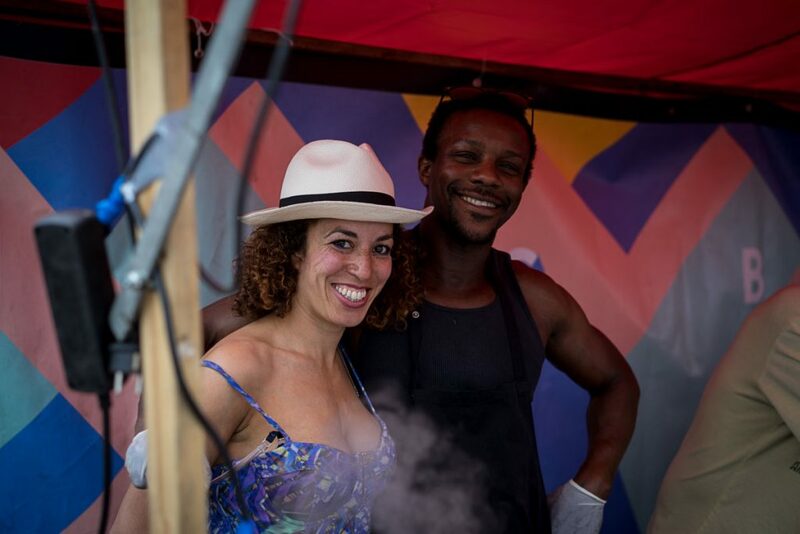 Another outstanding vendor, who joined the market last year, is the Jamaican crew from Spice Spice Baby who cook some exceptional jerk chicken on their massive barrel grill. 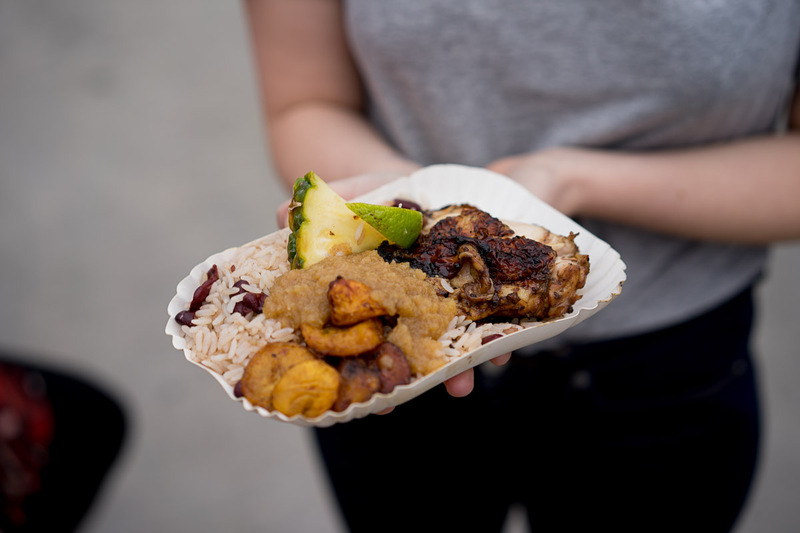 True Jamaican hospitality and warm smiles are included in the price of their lovely food. 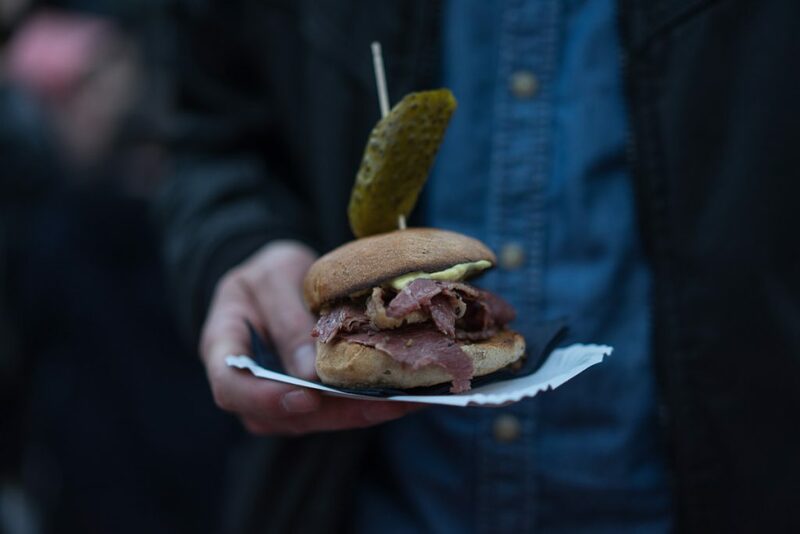 Other vendors to pay attention to include the notoriously delicious Pignut BBQ from the Markhalle in Moabit with their Southern style dry rub BBQ, Mogg from Mitte with their exceptional beef pastrami and Chutnify from Pberg who come to Bite Club with their tasty South Indian dosas. 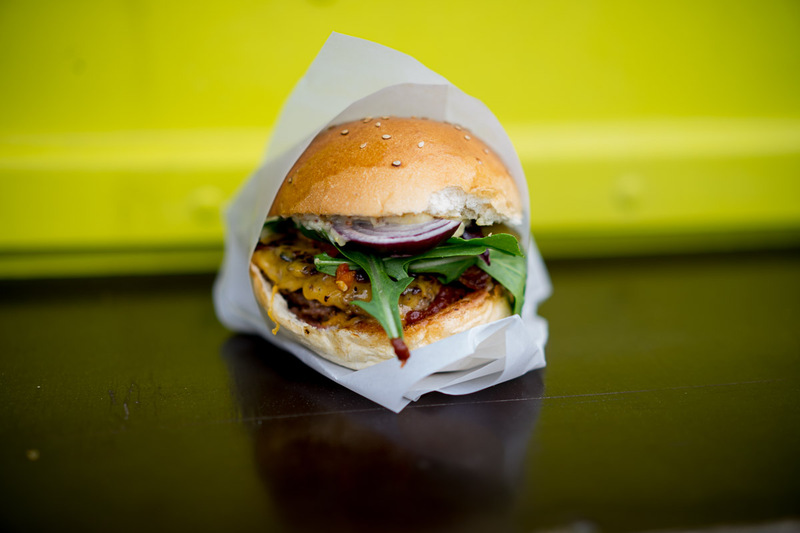 But hey, maybe your thing is simple classics? If so just pop a couple of fresh oysters from the guys at Küstlichkeiten (best oysters in Berlin) along with a class of lovely Riesling by Berlin’s most famous natural wine shop Viniculture. 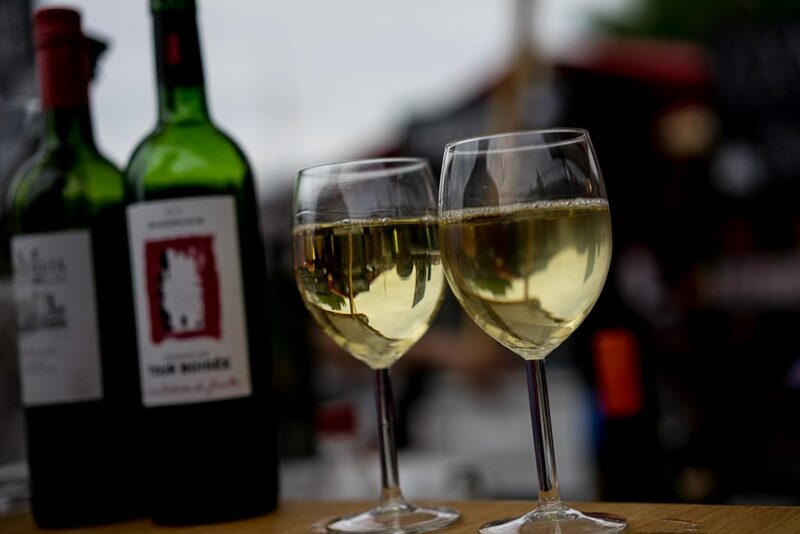 The drinks lineup is always very good and this year’s addition of Stone Brewing’s craft beer paired with a strong cocktail game is a guarantee for a solid sundowner party after the vendors run out of food. 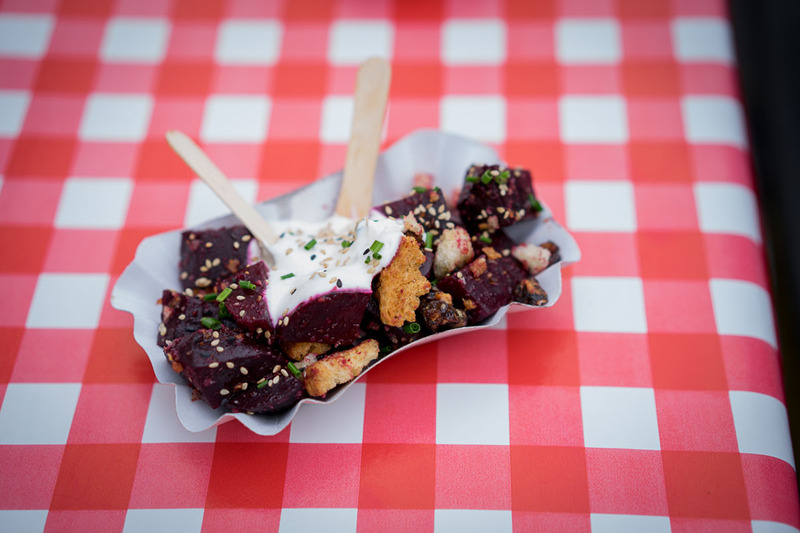 To round it all off, swing by Laura aka Tausensuend for the most delicious vegan pastry creations or get in line for one of my absolute favourites: Jones Ice Cream, who just recently were featured on my list of the best ice cream in Berlin, and who, most certainly are the very best ice cream truck in Berlin. 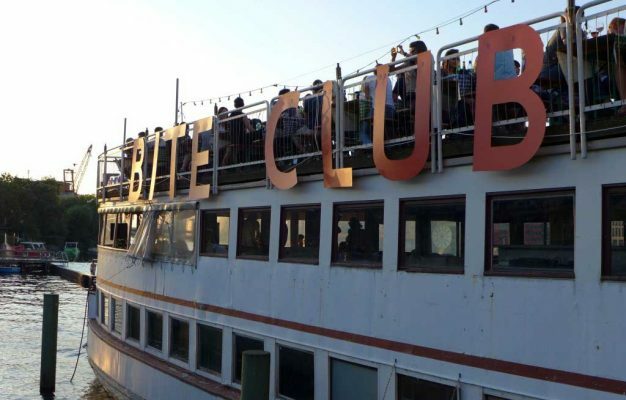 Bite Club equals a Berlin summer and a proper sundowner from the deck of the MS Hoppetosse and it’s something that should be on every Berliner’s bucket list. This is especially true in these times where street food culture is pop culture, Bite Club keeps on delivering in terms of quality and raises the bar for other markets that don’t curate and manage their events as seriously. 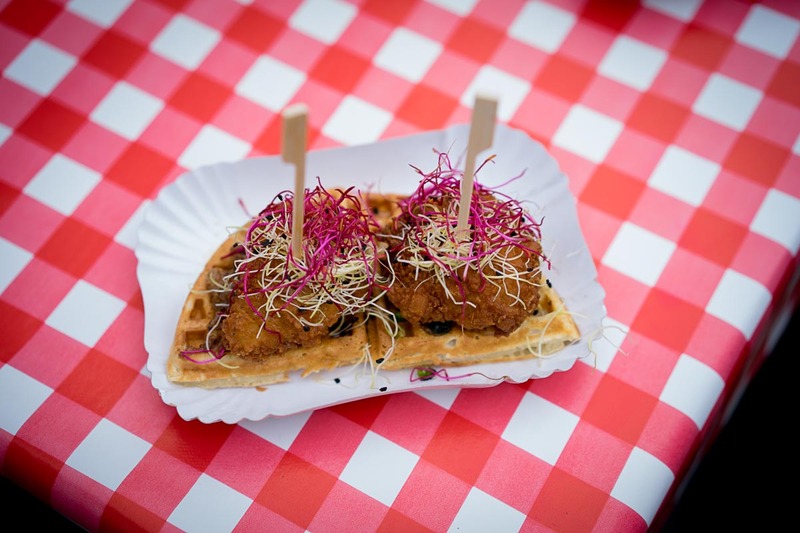 The only street food event that truly shares Bite Club’s quality ambitions is the notorious Street Food Thursdays. 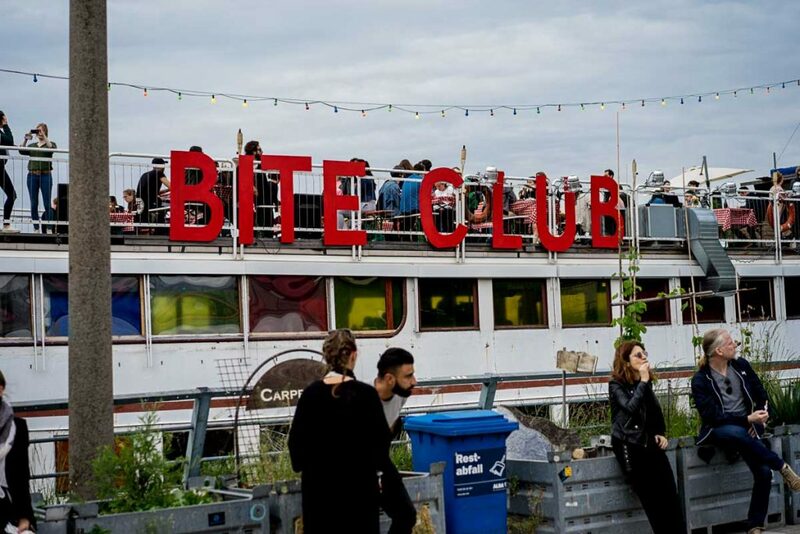 This summer Bite Club will return to its Kreuzberg location about every third week (check the BFS calendar), but there will also be two off-site events at spectacular locations such as the Funkhaus in Rummelsburg. 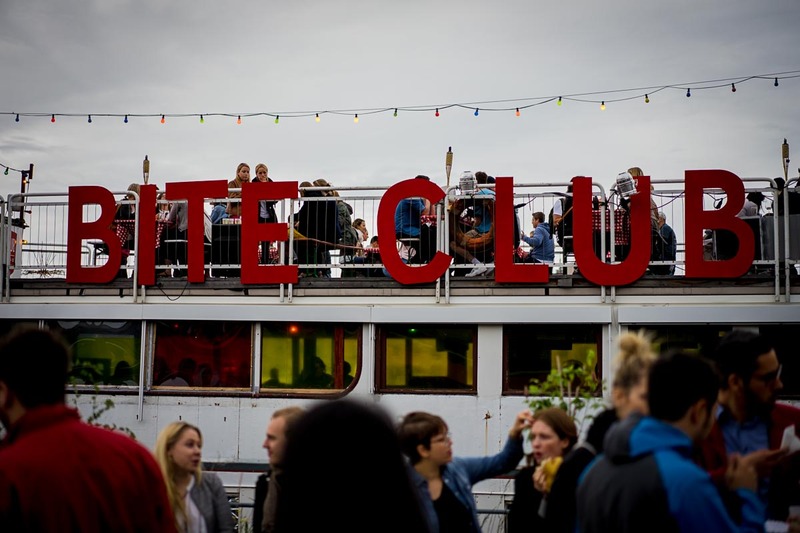 With a solid food and drink vendor line up, it looks like we’re in for another spectacular Bite Club summer. 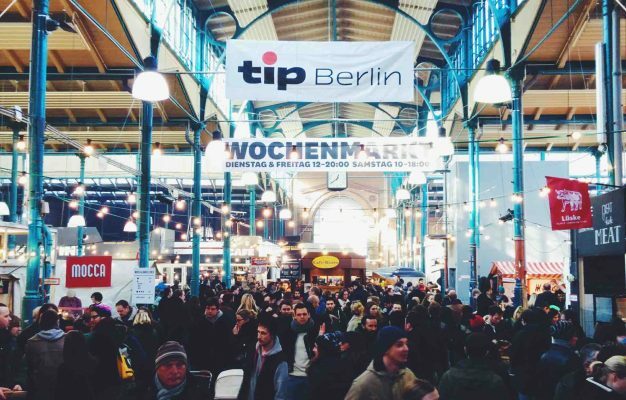 All listed in the Berlin Food Stories Food Calendar.